Need date night ideas? Try hiking and star gazing! If your traditional date night is becoming a little boring, try these date ideas that get you up and moving! Summer tends to fill up fast with family trips to water parks, sporting events and even yard work. Before school is out and things get busy, don’t miss the chance for a romantic date night. However, if your date night has gotten a little stale or routine, try something a little more adventurous. In a world of smart phones and streaming TV, who wants to use date night to go stare at another screen? Here are some getaway ideas that take you out of your comfort zone for a night you won’t forget. 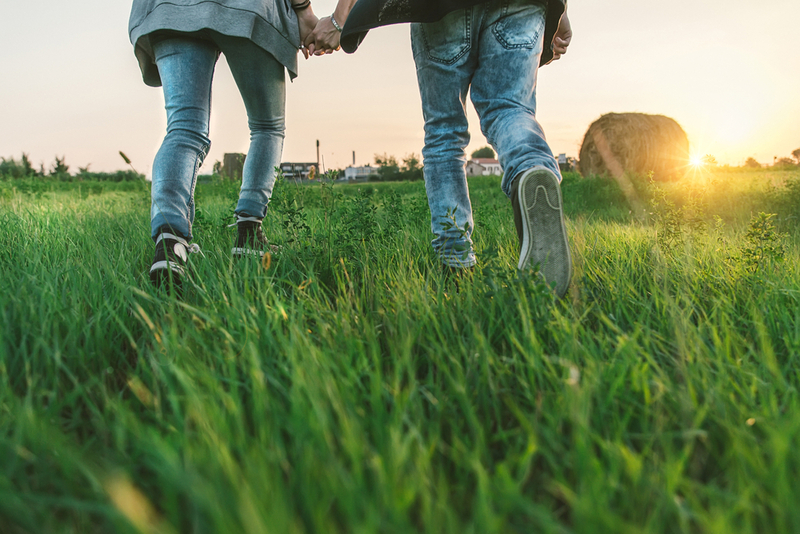 Hit the dusty trail: Whether on foot, bike or even a horse, a trip into the woods for a day can help you escape the minutia of daily life and rediscover your passion and romance! Chances are you’re not too far from a forest preserve or nature center that would be a great getaway. America’s State Parks website even has state-by-state search function! Look up: If your hike runs late (provided the park is open passed dusk) don’t miss the chance to see the stars. While we have plenty to keep us entertained at ground level nowadays, for centuries, watching the heavens was the only show in town. If you’re not sure what to look for, there are a number of mobile apps that can help point your eyes in the right direction – just stay off the work email and social media! Be young at heart: Walk to the ice cream shop, go for a swing at the playground, even ding-dong-ditch the neighbors if you’re up to it! Well, maybe not the last one… but don’t be afraid to act like kids, even when you leave them at home. Studies show that health and relationships improve when we take on the positive, curious attitudes associated with youth. As the seasons change, the days lengthen and the air warms – revitalize your date night plans as well. Not only is it fun – but it may even reduce stress, improve health and lead to some exciting adventures. You can also improve your family’s health and comfort with whole-home air purification! Visit Aprilaire for more information. Previous Previous post: El Nino, Climate Change and Your Allergies – Is there a Link?